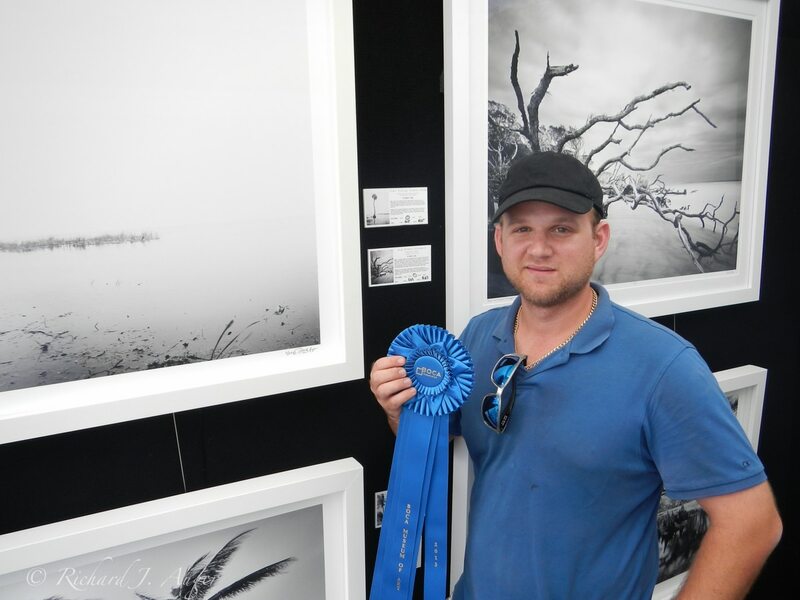 On February 9-10, 2013, I was honored to be awarded my first ‘Best in Show’ at the Boca Raton Museum of Art Show at Mizner Park. I was thrilled, honored and humbled by the experience this weekend, competing with some of the best scultpures, photographers, pencil drawers, print makers, and painters in the nation who equally deserved the award. I was bouncing up and down all weekend, with a feeling that my hard work in completing the Florida 67 series is finally paying off, throwing out my old digital portfolio and switching entirely back to film in mid 2011. The weekend was very high spirited, with a good crowd, amazing neighboring artists, and awesome sales. Thank you to everybody that came out and say hello, as well as all the warm congratulations on my facebook fanpage. Next weekend I’m at my first year at Artigras, and looking forward to that show as well. I stayed in the Palm Beach area an extra day and kayaked about 16 miles up and down the Loxahatchee river in Jupiter Florida. My favorite location was largely destroyed by some recent powerful storms, which was sad, but is every immortalized in my photo of the riverbend. Back to Orlando for building new frames, developing film, and maybe another river shoot if time permits.